Nigel Moore is an English solicitor specialising in corporate and commercial law. Additionally, Nigel is admitted as a solicitor in New South Wales since 1988 and the Irish Role of Solicitors since 2017. He has worked on projects with CastaldiPartners both within the UK and Europe over the past 20 years. Nigel Moore is a Partner with Buckles Solicitors LLP, an English law firm that operates in association with CastaldiPartners. Admitted as a solicitor in England and Wales in 1985. Since then, Nigel Moore has specialised in corporate and commercial work, particularly mergers and acquisitions, and has acted for many companies undertaking or investing in the UK by way of acquisition or new business start up. Additionally, his portfolio of clients extends to a considerable number of owner managed businesses operating across the UK, with specific involvement in manufacturing and engineering businesses as well as new tech-based businesses. 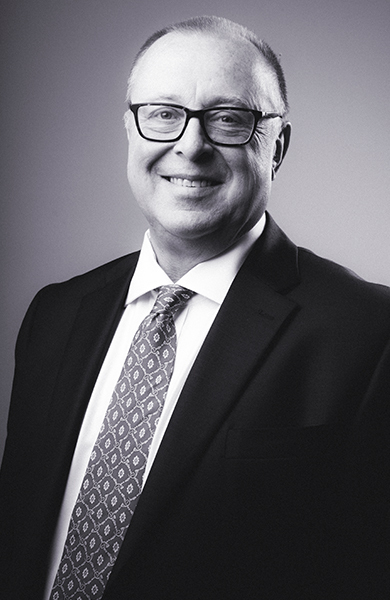 In 1988, having been admitted to the Law Society of New South Wales, Nigel Moore practiced corporate law in Sydney, Australia for two years before returning to the UK to take up a partnership position in Peterborough. Heading a team of nine corporate and commercial lawyers across the range of Buckles offices, he remains hands on with client work, undertaking corporate finance mandates for sales and purchases for clients, both in his capacity as a Partner of Buckles and as a Consultant to CastaldiPartners. Nigel Moore founded Peterborough ProHelp as part of Prince Charles’ charity, Business in the Community, for the provision of initial start up legal advice for charity and not-for-profit organisations across the Eastern region of the UK. Acting for an international publisher in relation to the consolidation of its interests across North America, the UK and Australasia. Acting for a Swiss pharmaceutical company in relation to the acquisition of a UK based herbal remedies manufacturer. Acting for a Viennese based acquirer of a UK based group of companies specialising in confectionary wrapping machinery. Acting for vendors of a major UK range of 60+ veterinary practices to institutional consolidator. Acting for a UK based metal fabricator in relation to installation of artistic metalwork across Leicester Square, London. Guildford College of Law 1983.